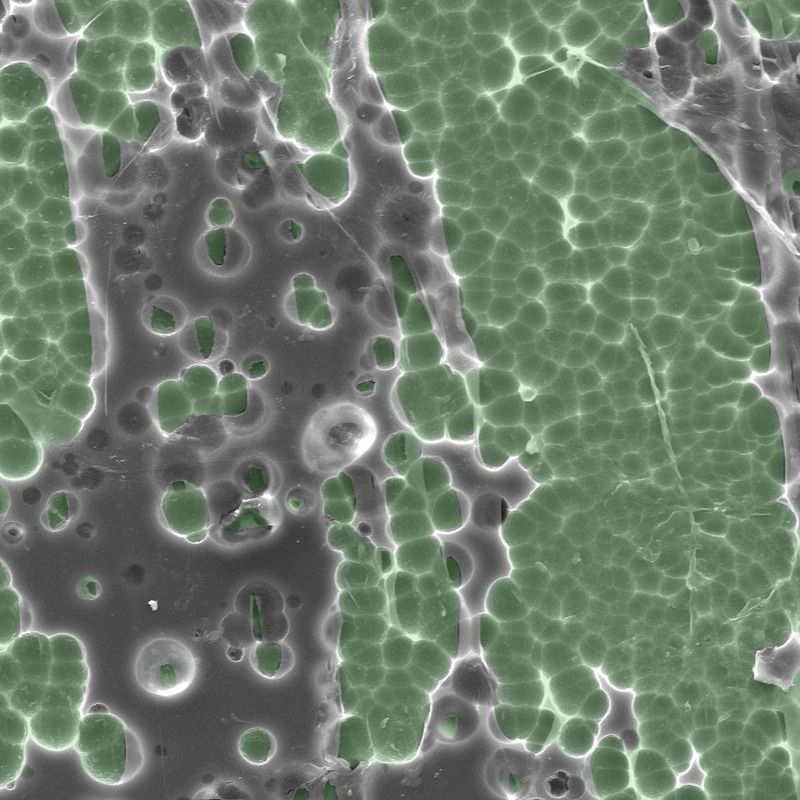 Supercomputers helped study the binding of a plastic-degrading enzyme, PETase, which could lead to developing industrial-scale plastic recycling for throw-away bottles and carpet. Electrostatic potential distribution shown of PETase structure. Image courtesy of Gregg Beckham. A dump truck's worth of plastic empties into the ocean every minute. Worldwide, humankind produces over 300 million tons of plastic each year, much of which is predicted to last centuries to millennia and pollutes both aquatic and terrestrial environments. PET plastic, short for polyethylene terephthalate, is the fourth most-produced plastic, used to make things such as beverage bottles and carpets, most of which are not being recycled. Some scientists are hoping to change that, using supercomputers to engineer an enzyme that breaks down PET. They say it's a step on a long road toward recycling PET and other plastics into commercially valuable materials at industrial scale. “We're ideally going from a place where plastics are hard to recycle to a place where we use nature and millions of years of evolution to direct things in a way that make plastic easy to recycle,” said Lee Woodcock, an associate professor of chemistry at the University of South Florida. 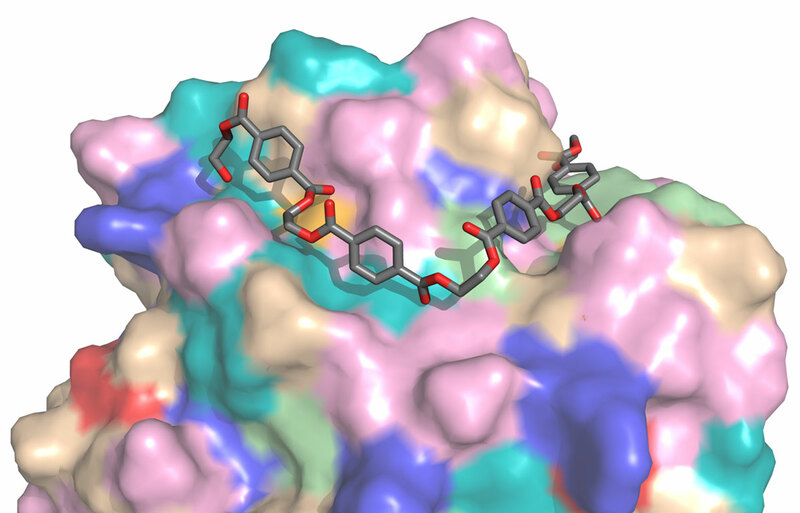 Woodcock co-authored a study on the structure of an enzyme to degrade PET that was published in the Proceedings of the National Academy of Sciences (PNAS) in March 2018. The study builds on a discovery in 2016 by Yoshida et al. of a bacterium, Ideonella sakaiensis 201-F6, which feeds on PET plastic as its source of carbon and energy. The PNAS study authors focused on the bacteria’s plastic-degrading enzyme, called PETase. Team members at the University of Portsmouth, led by Professor John McGeehan, used X-ray crystallography at the Diamond Light Source in the United Kingdom to solve the high resolution crystal structure of PETase. Electron microscope images showing interaction of PETase enzyme with PET plastic. Image courtesy of Gregg Beckham. The researchers simulated the long timescales of the enzyme using the Chemistry at Harvard Macromolecular Mechanics (CHARMM) force field and program itself, as well as Nanoscale Molecular Dynamics (NAMD) software. They used Comet at the San Diego Supercomputer Center (SDSC) at the University of California San Diego, as well as the Stampede1 and Stampede2 systems at the Texas Advanced Computing Center (TACC). Electrostatic potential distribution of PETase structure. Image courtesy of Gregg Beckham. Beckham said that their work has just begun on enzymes that clean up plastic pollution. “We're just starting to understand how this enzyme has evolved,” he said, adding that he wants to use computation to take advantage of large databases of genomics and metagenomics on enzymes to find the needles in the haystack that can degrade plastics. The researchers are also interested in finding out of they can accelerate the degradation of PET at much higher temperatures, which could be industrially relevant in terms of using an enzyme to degrade PET and then convert that into the higher value materials, which could incentivize higher rates of reclamation, especially in the developing world where lots of plastic waste goes into the ocean. “Understanding how we can better design processes to recycle plastics and reclaim them is a dire global problem and it's something (for which) the scientific and engineering community has to come up with solutions,” said Beckham. Additional authors of the study, called ‘Characterization and engineering of a plastic-degrading aromatic polyesterase,’ include Harry P. Austin, Mark D. Allen, Alan W. Thorne, and John E. McGeehan (University of Portsmouth); Bryon S. Donohoe, Rodrigo L. Silveira, Michael F. Crowley, Antonella Amore, Nicholas A. Rorrer, Graham Dominic, William E. Michener, and Christopher W. Johnson, (National Renewable Energy Laboratory); Fiona L. Kearns and Benjamin C. Pollard (University of South Florida); Munir S. Skaf (University of Campinas); Ramona Duman, Kamel El Omari, Vitaliy Mykhaylyk, and Armin Wagner (Diamond Light Source, Harwell Science and Innovation Campus). The National Renewable Energy Laboratory Directed Research and Development Program funded the study, with computer time provided by the Extreme Science and Engineering Discovery Environment (XSEDE) under allocation MCB-090159.